Today marked the official first day of our eastbound trek. We will eventually end up in Wetumpka, Alabama in about 10 days. For today, though, we headed out of Anaheim and northeast to Las Vegas. We will be here two nights and will do a little sightseeing (not the strip this time) tomorrow. On the way, we stopped in Baker, California at a Del Taco. We grabbed some food to go and sat out in the truck while we ate it. 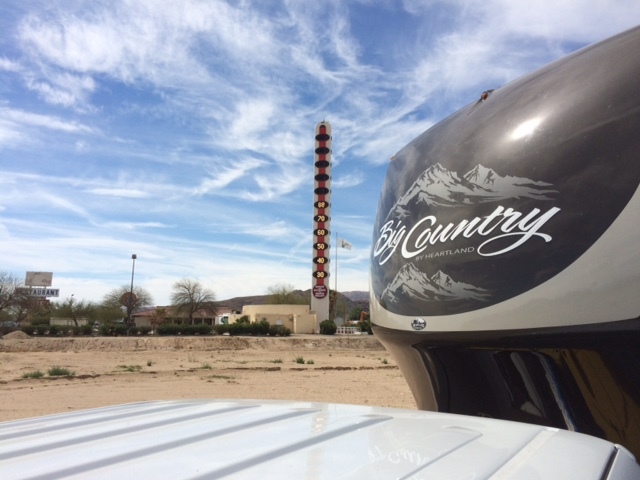 Unbeknownst to us, we were also parked very close to the self-proclaimed largest thermometer in the world. 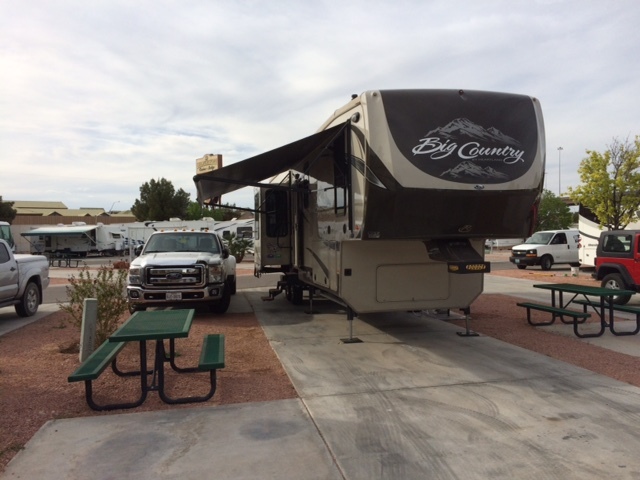 We took our time and rolled into the RV resort here about 3:00 PM. We got set up and just relaxed. After a couple days at Disney, we were ready for some downtime – which is why we wandered over to stroll around the nearby Bass Pro Shops store. From there, we stopped by Target to pick up a couple items, then back to the trailer for the evening. Tomorrow we have tickets at 10:30 for a tour of the Neon Museum. We’ll post pictures tomorrow evening. This is something we didn’t do last time we were through here and thought we might swing through again and catch it this time. This entry was posted in Nevada, traveling. Bookmark the permalink.